Factory sources suggest Ducati is debating whether to reprise the runaway success of its Desmosedici RR with a new carbon-framed model following MotoGP's 2012 switch to 1000cc. Reaction to 2008's original ultimate race replica staggered the Bologna firm, which believes it could have sold the 1500 production run twice over. That number had already mushroomed from initial plans which called for a limited run of 300 bikes. Ducati believes the switch away from the unloved 800s renders the GP replica concept valid again, and debate centres around whether a suitable amount of time has elapsed since the original 197bhp/171kg D16RR for the new bike to create sufficient impact. 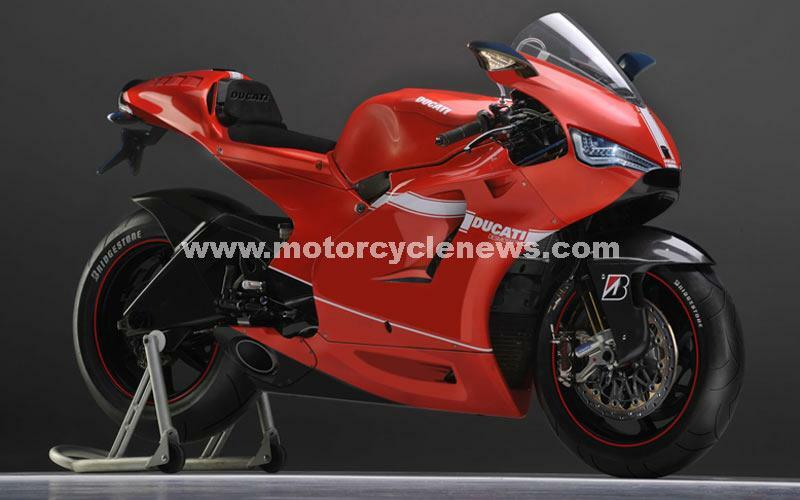 One thing is certain -­ a new Desmo would be far more expensive. Not just because the carbon-composite frame it would need would be far more expensive to produce, but because Ducati believes it under-priced the original. Most Desmos were bought by owners used to spending more than the £39,250 asking price on a second car, and it has since stretched the price of the top-spec 1198 to £30,695. Read the full story in this week's MCN.